Antique garnet brooch dating from the 1860’s. Product code: ES3285 Categories: Sold Items, Sold Jewellery. This antique brooch dates from the 1860’s and takes such a naturalistic form that combined with the garnet really makes this brooch look divine. Made in 15ct gold, the brooch is profusely hand engraved which in itself is just incredible and sitting proudly in the centre is a lovely cabochon cut garnet. Cabochon cut means that the gemstone is domed on the top instead of facetted and the garnet has such a deep burgundy red colour to it. Measuring 42.7mm across by 35.37mm the brooch is also fitted with a safety chain for added security. 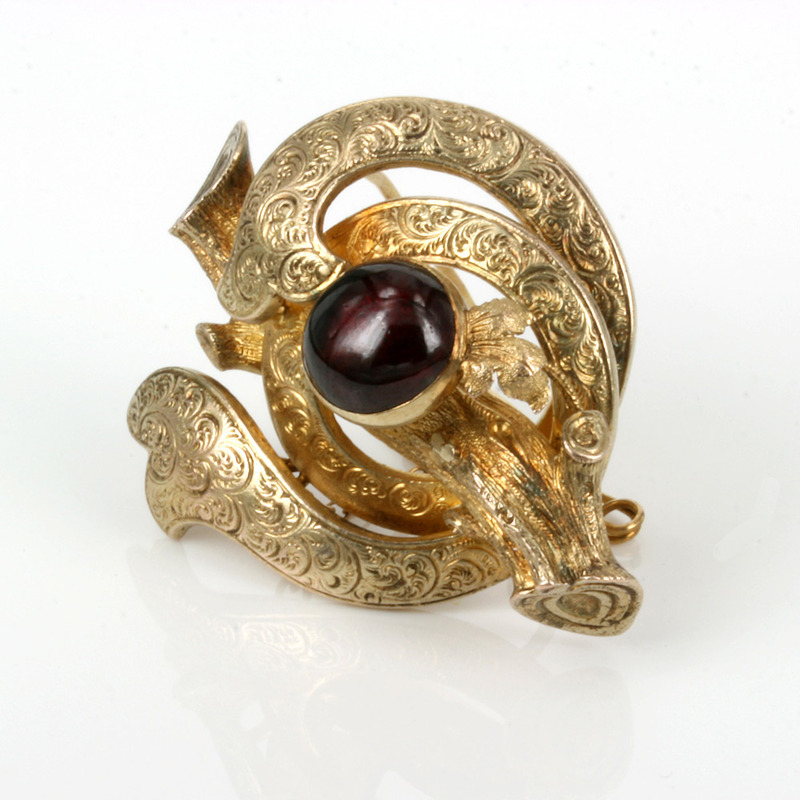 A lovely antique garnet brooch from the Victorian era to wear all the time.